Demo "Gleiche Rechte für alle" (Refugee-Solidaritätsdemo) am 16. Februar 2013 in Wien. Credit: Haeferl via Wikimedia Commons. CC BY-SA 3.0. First, the painful social isolation. In Hannah Arendt’s terms, I was an optimistic refugee myself. I wanted to live a new life in a new country that was impossible for me in my home country. The expectations of my social environment and its conventional structures would not have allowed me to live and even think differently, radically differently. I was twenty-two at the time. After studying metallurgy in Korea I wanted to study philosophy, literature and theology in Germany. On the campus of my university in Seoul I often gazed at the sky, thinking to myself that it was too beautiful for me to want to spend my entire life as a metallurgist beneath that sky. I dreamt of a better, more beautiful life. I wanted to reflect philosophically on life. I fled to Germany and arrived there, twenty-two years old, penniless and devoid of language; at the time I hardly spoke any German. At the beginning, like every optimistic refugee, I was confronted with social isolation. It is painful. This makes me feel deeply the pain of today’s refugees. I suffer with them. With my poor German, it was hard to integrate into the social structures I encountered. Inadequate language skills were the main obstacle to settling in as I sought to do (I am reluctant to speak of so-called integration). Then love proved to be the best strategy for settling in. A German woman who loved me, I thought simple-mindedly, would listen to me and quickly teach me the German language in order to understand what I thought of her, what feelings I had towards her and so forth. I was greedy for every new German word. I wanted German; my ambition was to speak like the Germans. We know that Willy Brandt also followed this strategy: within a few months of exile he was writing articles and speeches in Norwegian. While living under the pseudonym of Gunnar Gaasland in the Berlin underground he spoke German with a Norwegian accent. Clearly it was not only his talent but also his greed for language, in fact his greed for love, that accelerated his acquisition of a foreign language to such an extent. One year after arriving in Germany I believed, like the optimistic refugee described by Hannah Arendt, that I spoke German better than any other language. For Arendt, patriotism too is purely a ‘matter of practice’. The ‘ideal immigrant’ is one who “immediately discovers and loves the native mountains.” They are a patriot, a lover of the country. They love the country in which they have set up a new life. I too love this country. One day I adopted German citizenship and gave up my Korean pass in exchange; now I am a German. Meanwhile I speak German better than my mother tongue, which has literally been reduced to a mere mother tongue: I only speak Korean to my mother. My mother tongue has become foreign to me. I love Germany. I would even call myself a patriot, a country-lover. I am certainly more patriotic than Frauke Petry, Alexander Gauland and Björn Höcke put together. With their irresponsible populism they degrade Germany, my country, which has always been a very hospitable country towards me. Someone who was a good citizen in their native country will also be a good citizen in the new one. We should continue to welcome these ‘newcomers’. Someone who was already a criminal in their native country, like Tunisian-born Anis Amri, the perpetrator of the 2016 Berlin attack, will remain a criminal in the new one. We will turn them away. But we should offer the newcomers an environment in which they can become good citizens. But what does it mean to be a good citizen? I am the second Korean to hold a professorship at Berlin’s University of the Arts; the first Korean professor was Isang Yun. He was a significant composer. He was a political person. In the 1960s he protested vehemently against the military dictatorship that was ruling South Korea. He was arrested by the South Korean secret service in 1967, in the middle of Germany. In Seoul he was sentenced to life imprisonment. After being released early he returned to Germany, now stripped of his citizenship by the South Korean regime. He became a refugee and was naturalized in Germany. But perhaps he too, like Hannah Arendt, would deny that he was a refugee. Like Arendt, he would have said, ‘I am a good, optimistic immigrant’. His German was excellent. I would like nothing better than another dreamland. A good citizen is good on the basis of their mentality. They share moral values like liberty, fraternity and justice. Their actions against the ruling political system may be criminalized by it; but because of their moral mentality (in the Kantian sense) they are still a good citizen and also a patriot, someone who loves the country and its people. In the last years of his life, Isang Yun despaired at the open eruptions of xenophobia in the reunified Germany. He was distressed by images of the crowd applauding in front of the firebombed residence for former Vietnamese contract workers in Rostock-Lichenhagen. And he was disappointed, for he loved Germany. I too consider the events in Rostock a pogrom. 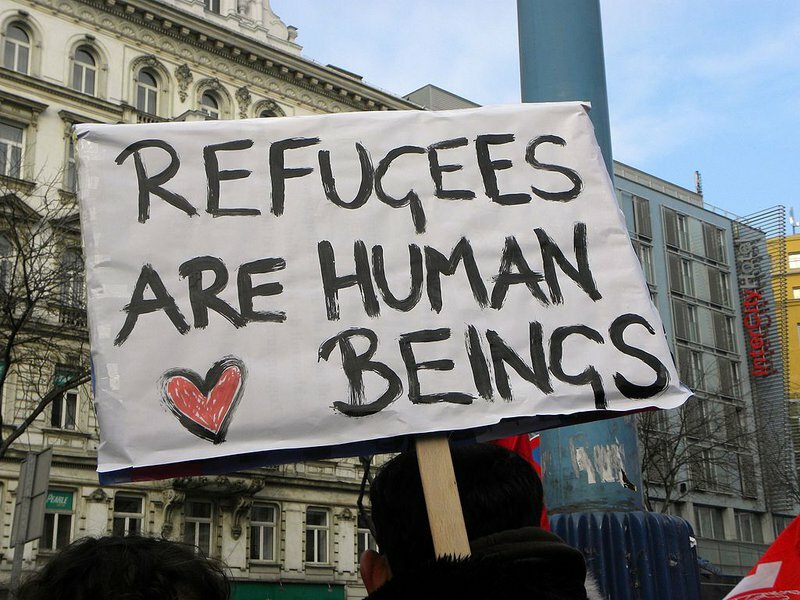 At the moment I am unsettled by the resurgence of xenophobia in response to large numbers of refugees, both in Germany and other European countries. I would like nothing better than to flee to a dreamland again, a hospitable country in which I can fully be a patriot again, a lover of the country. This article was first published in the Frankfurter Allgemeine Zeitung. It has been translated by Wieland Hoban.